I'm sitting in my Statistics class, waiting for everyone else to finish their work. In an effort to cure my boredom, I decide to do something I love: write. I'm not sure what it is about my Statistics class, but I wind up writing to my heart's content, and as soon as I leave my class, my inspiration is gone until the next morning. It is in this class, during my senior year, that leads me to this very moment. It was in this class that I wrote the book that will officially make me an author. After much procrastination and then prayer, I am here. Five years later, I am finally brave enough to step out and share my art with the world. 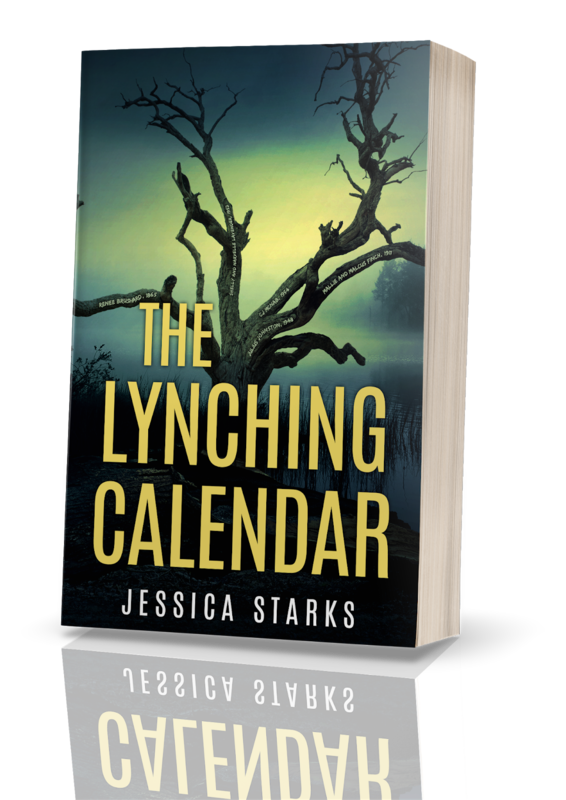 I am thrilled to finally reveal the cover of my first book, The Lynching Calendar, which will be released October 18th, 2019! Click here to sign up for my email list to keep up with me and to be the first to preorder! The Lynching Calendar gives readers a sneak peek into one of America's darkest times. History tends to tell the story from one perspective, but what if we had the chance to hear the story from those involved? The Lynching Calendar allows us a chance to hear the full story and show that, no matter what the circumstance may be, there is more than one side to every story. Being that this was my first book and it was such a HEAVY topic, I knew the design of the cover was important. I wanted the book to hit you as soon as you see it and immediately draw you in. I wanted the cover to be something that would cause conversation, even before the pages were opened. I'm so thankful to VC Book Cover Design for bringing my vision to life! Vikki was so easy to work with and prompt - highly recommend! If you notice, there are small names etched into the tree on the cover of The Lynching Calendar. The names are the names of the main characters in each story of the collections and the dates are that of when they were born and when they passed. I feel so connected to each character and I wanted to honor them and bring the message of the entire book together by making their names visible. 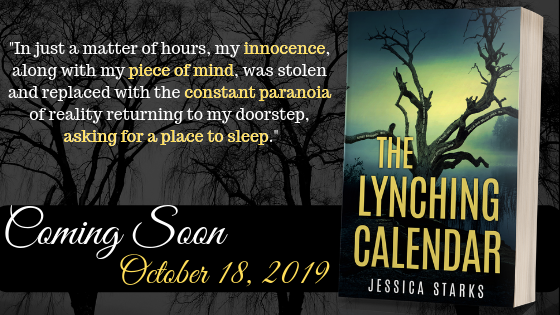 I really hope you love the cover of The Lynching Calendar and I hope you will love the stories, and the messages inside! The book, both print and ebook, will be available for pre-order soon! Click here to sign up for my email list to keep up with me and to be the first to preorder! Thank you SO MUCH for all your support of my first book! See you in October! I'm so excited for you Jessica! I cant wait to get my signed copy! I’m excited for you and can’t wait to read the book! Awesome cover! Congratulations! Ready to read this story.